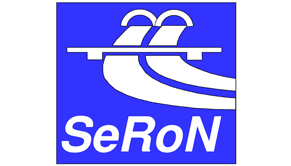 The European research project "Security of Road Transport Networks" (SeRoN) focused on the development of a methodology for the identification and risk-based analysis of critical road transport infrastructures against the background of terrorist threats. Together with other partners, PTV evaluated protective measures with regard to its user-side and object-side effectiveness. Both risk analysis and economic approaches were used as valuation methods. SeRoN developed a method for identifying critical road infrastructure. Within the scope of this criticality assessment, prioritization of the infrastructure projects took place according to their significance for the transport network. In addition, a risk-based procedure for assessing protective measures was developed. In addition to the costs of the measures, the benefits of avoided or reduced regional and trans-regional transport effects of damage incidents resulting from a long-term failure of the road infrastructure were also analyzed. Within the scope of the project a database was developed for the administration of relevant data of the road infrastructure and its criticality, the threat scenarios as well as the measures. This will enable road authorities and infrastructure operators to collect the data required for the analyzes as well as their results.